You are here: Home / books / September Book Giveaway! Winners announced on September 19th! 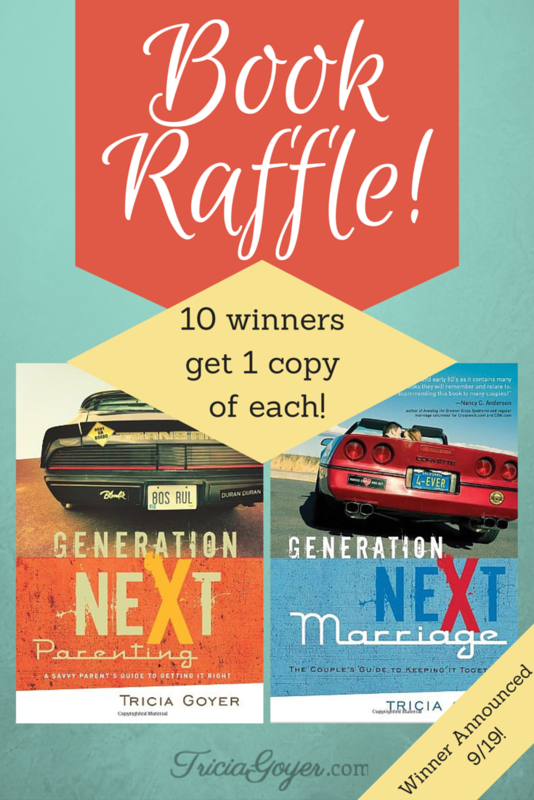 10 winners will receive 2 books of mine: Generation NeXt Parenting & Generation NeXt Marriage. Enter the raffle below (as many times as you’d like) to win. Only those in the U.S. are eligible to win. I entered – thanks for the chance! Couldn’t get the entry to send but wanted to say hi Tricia! I entered. Thanks for the chance to win. Entered. Love your books. I started reading your books less than two years ago. Truly enjoyed the ones I’ve read. Thanks for the chance to enter your contest. I enjoy your books but haven’t read some of these. Entered. Oh, I hope I get a book! Your books are so marvelous! congrats to all the winners!!! God blessed you with an amazing gift!!! I am so excited for you!! !